As the title reads, I am trying to shake things up around here! And Life in general I guess. I don't know, I've been going steady over here for a while now but old habits are creeping back, and so I am tweaking things over here. Freshening things up so to speak. When I start getting jolty about leaving the house and getting going it's definitely time to take precautions and get my head back in the right place. Maybe even doing some of my old CBT exercises just for a month or so, until I feel stable again. This weeks photos come courtesy of yesterdays eats. Yes, that's right, I remembered for a second week in a row. Check me! There's not much to show really. I am just finding my feet again and eating new things etc. Unpictured from these eats was an apple and a banana. Yay, the apples are finally back to their crunchy best! Post-Workout Fuel - Medium Banana. 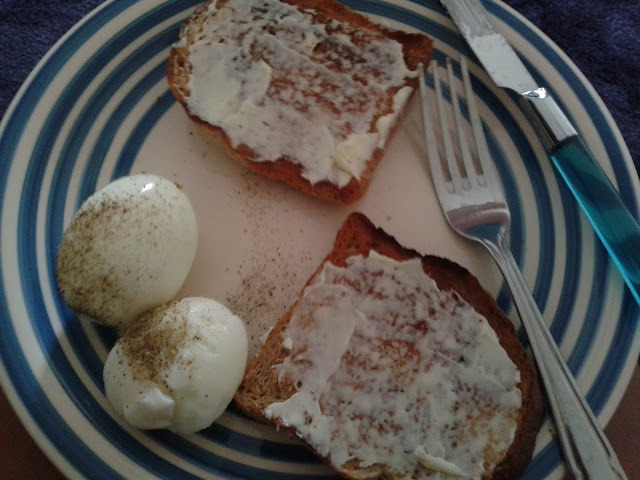 Breakfast/Lunch - 3 slices of small wheatgerm Toast, with a wedge of light Laughing Cow + 2 Boiled Eggs. 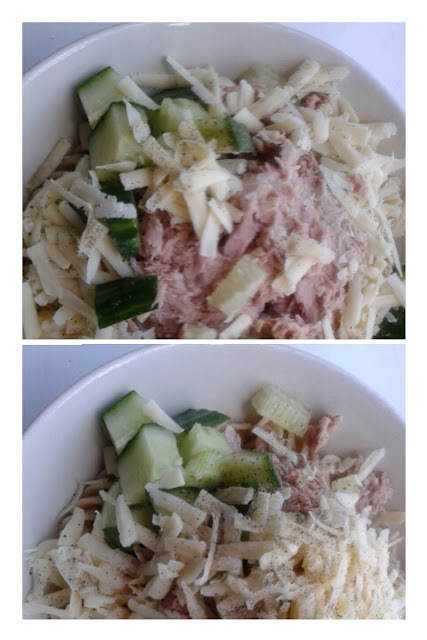 Dinner - 50 grams of Wholewheat Pasta, Tuna with Mayo, Spring Onion, Cucumber and Tomato + Mature Cheese. 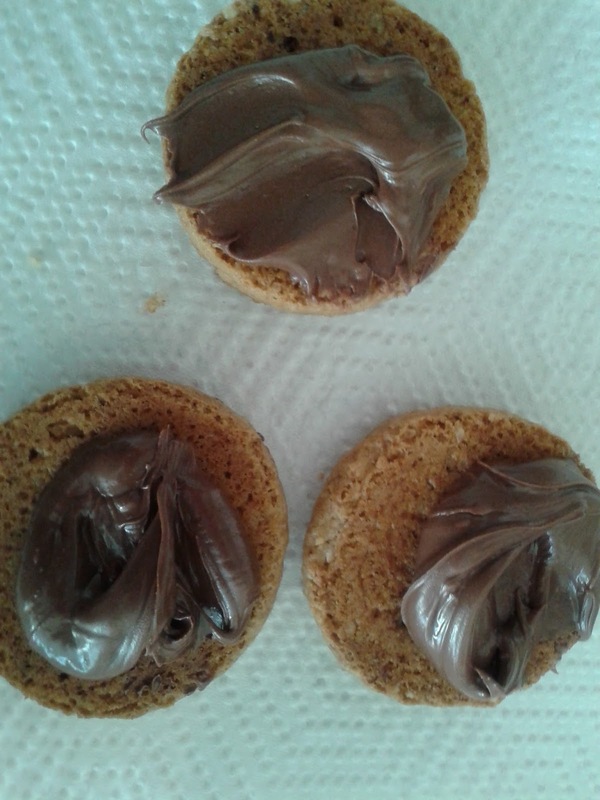 After Dinner Snack - 4 Mixed Berry Weight Watchers Cookies with a Layer of Nutella. Wholewheat Toast, w/ Laughing Cow and 2 Boiled Eggs. Drinks - Orange and Peach Still Water, Tea, Water, Cappuccino. Yesterday doesn't seem so bad, but I wouldn't want to enter it in to MyFitnessPal or Livestrong, if you know what I mean?! Oh well. There's no changing that, just improving today. That's what I have power over. And here are some of my favourite eats from the Last Week. Not always the healthiest, but they all definitely hit the spot! 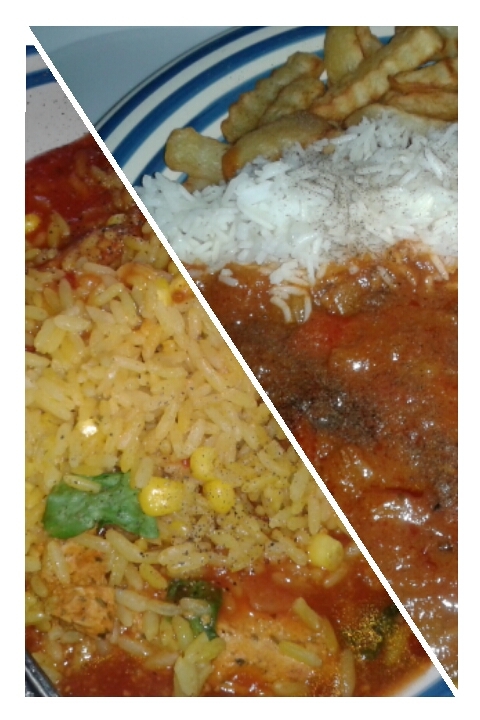 Left: Chicken Fajita Spice with Rice (from Tesco's Healthy Living Range), Right: Prawn Balti with both Basmati and Crinkle Chips. 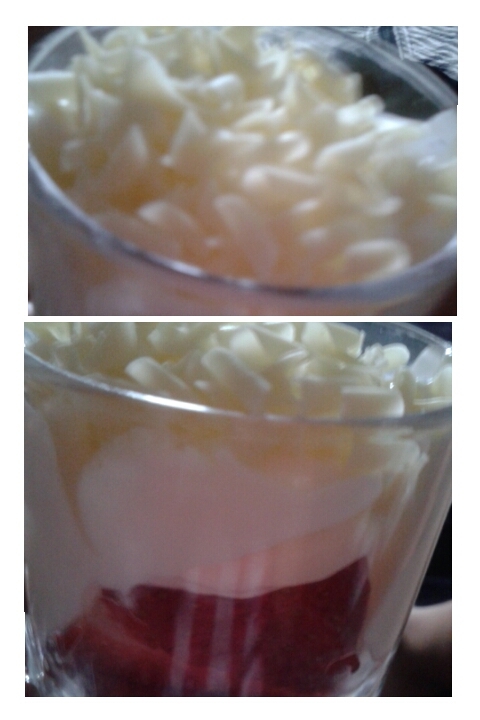 Layered Greek Strawberry Surprise: 1. White Chocolate Shavings, 2. Strawberries, 3. Full Fat Greek Yoghurt, 4. Repeat 1. This was my Sunday Afternoon Treat and it definitely hit the spot :-D I had never tried full fat greek yoghurt before and the difference was immense. I was definitely missing out before. Eating away I forgot to check the nutrition stats. Yikes! Why so much saturated fat in one tiny pot, that's where the scruminess was coming from. Damn. Of course that's why I finished the pot! Question: Full Fat Greek Yoghurt or Low Fat Greek Yoghurt? Are you trying to change up your diet lately? I LOVE CRINKLE FRIES. ahhh. do you use the frozen ore ida ones? they are my kryptonite. that yogurt parfait looks awesome! i prefer no-fat greek yogurt because then i can add fat from other sources like nuts or nut butter, so i get more mix-in variety. They are the best :D And I'm not fussed, but the other day we used frozen. Oooh that's so true. But lately I've gone of peanut butter so I've not really been consuming it, but the parfait could have definitely used some chopped nuts on top! It's always a good idea to CHANGE THINGS UP every so often, change is a good thing as it will always happen and we need to ALWAYS be ready for it!